Thousands of drivers and passengers are either seriously injured or killed each year in head-on collisions. In many of these cases, one vehicle leaves its lane and collides with oncoming traffic. These accidents can be especially dangerous because of the force when two vehicles travelling in opposite directions collide. Head-on crashes are among the most deadly types of automobile accidents. In almost all head-on collisions, the driver who leaves his or her lane and hits another vehicle head-on is liable for the accident. By law, no driver should change lanes without making sure it is safe. Some causes of Houston head-on collisions include alcohol or drug use, driving while distracted, reckless driving, or driving while sleepy. Legally, you have the right to represent yourself in court. However, in most head-on collision cases, that is not a good idea. If you had no injuries and very minor damage to your vehicle, it may be fine to negotiate directly with the insurance company about compensation for your damages. 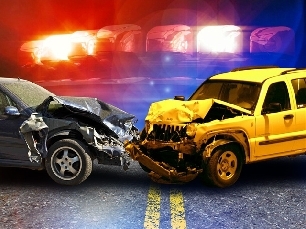 However, in head-on collision cases, there is typically a large amount of damage to the vehicle, as well as injuries. In that case, it is best to let an attorney handle the case. Insurance adjusters may pressure you to settle the case without fair compensation, and you may be tempted to do so to have some money coming in to deal with your damages. Instead, you should speak with an attorney. Studies have shown that cases with personal injury attorneys involved on average settle for more than cases without attorneys, even after the attorney’s fees are deducted. If you have been involved in a head-on collision in Houston, call the personal injury attorneys at Kennedy Hodges at 855-947-0707. They can help. Call today to learn more or to schedule a free consultation.